The team at forexdominance.com have conducted a 2018 VPS Forex review that will give forex traders some insight into the benefits that a virtual private server can provide. This review will aim to equip readers with all the information required to make the choice of the best VPS service to suit their specific needs. The acronym VPS stands for virtual private service. A VPS allows a user to host a copy of their entire operating system that is accessible by you from basically any other computer, from anywhere in the world. As a private service, you need not worry about sharing resources (such as RAM and CPU) with other users. Improved Security – Just imagine how devastating it could be if someone were to gain access to all your personal details and trading information. A VPS hosting provider offers greater reliability and a high number of security factors, making it much more difficult to penetrate for hackers. The best VPS service will ensure that there is little chance of access being gained by external parties. Improved Latency – The best VPS for forex trading providers offer the capability to choose from plenty of locations around the world. This is important because it allows the trader to select a hosting location close to the broker which leads to a drastic improvement in low latency. This then provides quicker trading capability at more accurate pricing. Better stability- Nothing is more costly and frustrating than a mid-trade system crash when undertaking a forex trade. The best forex VPS hosting providers claim uptime percentages that exceed 99% which ensures that their servers are operating efficiently for most of the time. With a standard connection, it is inadvisable to leave the computer unattended for an extended period. 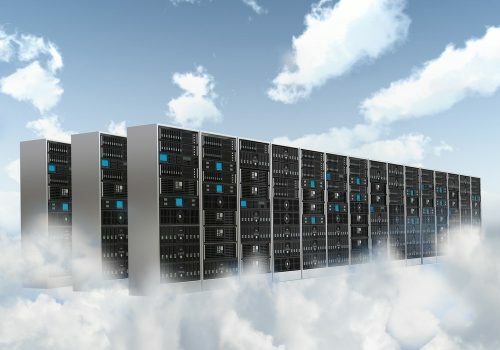 Yet, with a VPS connection, you can happily leave the platform operating all day and night and be comfortable in the knowledge that the connection will remain stable. This will safeguard against bad trades being made. Greater accessibility- The ability to log on to your forex broker from many locations and on many devices cannot be understated. With a forex VPS server connection, you can remotely access your VPS on any device from any location at any time of the day or night. Cost effective- With so many advantages, it is easy to expect that the cost of subscribing to a forexVPS provider will be tremendously expensive, but this is not always the case. Due to the competitive nature of the industry, many providers are seeking more and more clients and their methods to obtain new customers are to offer very competitive pricing. So, if you do your research, you are likely to find a provider that will suit your budget, regardless of what that budget is. Why is it especially beneficial to Forex Traders? There are some specific reasons why trading forex with a VPS is especially beneficial to users. The best forex VPS hosting providers will deliver on the following three promises that will elevate your forex trading game to the next level. You can trade through power blackouts – Without a VPS, traders who operate automated strategies are especially vulnerable where a power blackout occurs. With a VPS you can continue to rely on automated trading and be safe in the knowledge that the system will continue to perform appropriately, even in the absence of electricity. You can avoid costly slippage – There is nothing a trader hates more than slippage. For an example, let’s say you put in a buy order for EUR/USD at 1.161. Yet due to the lag in your internet connection, by the time the information is lodged, and the order filled you see that the order has been placed at 1.163. This difference in price means that you have missed the opportunity to purchase at the intended rate. With a forexvps you are certain to experience fewer delays, losses and less slippage. The convenience of trading anywhere at any time- One of the major advantages for forex traders comes with the versatility that a VPS provides. This versatility relates to the ability to log on and conduct trading activity from any location that provides a network connection. This means avoiding having to purchase any additional devices, such as a laptop or tablet. The ability to connect in places like hotels, airports and local cafes is extremely convenient. The choice for forex traders looking to use VPS is whether to go with an independent VPS host or whether to register with one of the top fx brokers that provide a VPS service. This is a decision that shouldn’t be taken lightly as there are positives and negatives to both options. Choosing a forex broker that provides VPS: The major benefit to this form of VPS hosting is that the cost is built into the service. This means that you avoid, what many consider, to be a costly outlay for a service that can be obtained as part of the subscription. The best forex VPS server providers will offer the service with their standard accounts or when a certain account balance or trading volume has been reached. Choosing an independent VPS host: The major benefit here is that by branching out on your own and signing with an independent VPS hosting service you won’t be restricted to your choice of forex broker or trading system. This is because today there are still many forex brokerage firms that do not offer VPS to their clients, or do so, only after strict requirements have been met (such as a certain level of trading or reaching a minimum level in your account balance). This means that a trader can perform their trading with any broker without having to limit their options to a brokerage firm that they may not otherwise by too keen on trading with. Of course, the negative is the extra cost, so this is something that the aspiring trader need take into consideration. In the following section we will outline, what we consider, to be the best forex brokers that offer VPS for those that are looking to save costs on a virtual private server. We’ve also provided some overall positives and negatives in joining these brokerage firms. Free use of expert advisors and other tools – This can ensure that you’ll make the most of your trades and maximize returns. Impressive customer support – Choosing a forex broker that provides 24/7 customer support with multiple contact options including live chat and telephone support will be highly beneficial. Strong security – Ideally your broker of choice will possess highly credible security with firewalls, around the clock monitoring and no history of security hacks. A popular trading platform – Do your research and ensure that the trading platform being offered by the broker is one that appeals to you. This is where you will be spending most of your time performing trades, so naturally this is something that you’ll need to be comfortable using. Below are the six forex brokers that we consider the most trustworthy and suitable for users who are seeking a company that will provide the best VPS service to their clients. Operating out of Limassol in Cyprus, XM is a popular forex broker whose operations are overseen by many regulatory agencies including the highly respected CySec and the FCA. This relatively new broker provides the popular MetaTrader4 trading platform to their clients for use. They possess an outstanding customer service reputation and are considered a highly suitable choice for beginner traders. 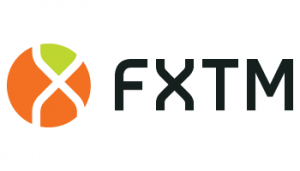 Rapidly growing in popularity, FXTM is operated by a management team with over 30 years of experience. Their popularity has grown incredibly quickly as they have only been operating for a little more than 5 years. Offering their clients access to MetaTrader 4, they are also desirable for the extensive range of trading instruments they provide to their users, which currently extends beyond 250. Additionally, they have built an impressive customer support service that is the envy of many of their competitors. FXCM is one of the most decorated companies in the forex industry. Winners of many awards for customer service standards and major innovation strategies, it is no wonder that FXCM would be considered one of the best forex VPS hosting options. Also considered an attractive option due to the variation of trading accounts offered to subscribers as well as the 50+ currency trading pairs on offer to clients. 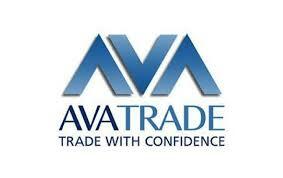 AvaTrade is one of the most recognizable forex brokers worldwide. Renowned for the amazingly large number of instruments and asset classes that they possess, Avatrade also provide many extremely advantageous advanced strategies. They are well-regulated which illustrates their reliability and safety and they also provide a high level of customer support. Based out of Limassol in Cyprus, eToro is considered by many to be the top social trading forex broker in the industry. 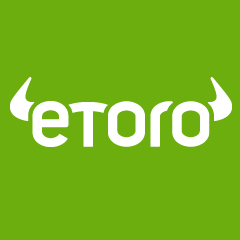 Highly regulated, eToro provides their services to over 5 million users worldwide. Their trading platform is extremely easy to use, and they provide potential clients with access to a demo account as well as charging no commission on any trades performed by their users. Cyprus based, Plus500 provides their clients with an easy to use trading platform that offers multi-asset capabilities. They are well recognized for providing a high level of quality customer support. Plus500 offers a demo and live account option and provides competitive spreads to their clients relative to their competitors. For those looking to maintain control by selecting an independent VPS on a dedicated server that will allow them to continue trading with a forex broker that does offer VPS, the following five hosts are the ones that we consider the best VPS service providers. We will provide a brief overview of the company, several positive and negative attributes, as well as pricing details. Operating since 2014, Host4ASP.net is based in Chicago and offers a guaranteed uptime of 99.9%. They provide effective security using Cisco Firewall protection as well as DDOS Attack Response, anti-spam and anti-virus technology. Amongst their top features are unlimited site diskspace and WordPress hosting. They also provide 24/7 customer support through email, support tickets and live chat. Most support tickets are responded to in under 2 hours, with most issues resolved within two days. Operational for more than 20 years, LiquidWeb is one of the most recognizable web hosting businesses in the industry, managing over 500,000 sites worldwide. They provide powerful hosting targeted towards professionals and business. Which means that they do not offer free plans or any basic hosting priced options. The upside to this is a strict focus on high performance which ensures that customers are guaranteed to receive a product that will satisfy their demands. Founded in New Jersey during 1999, Interserver is considered one of the best vps services and also one of the most affordable options, especially for mid to low-level forex traders. Currently operating two data centers in New Jersey, Interserver possess an average hosting uptime of 99.97%. They provide their customers with a price-lock guarantee, ensuring that the price you register with is the cost you will continue to pay for the duration that your account remains in operation. In operation since 2015, TradingFxVPS targets their services towards traders who use complicated automated trading system techniques and strategies. With four servers placed strategically in Amsterdam, Frankfurt, London and New York, this company is set up to succeed. TradingFxVPS uses the most up-to-date equipment from H&P, Intel, Dell and IBM to ensure maximum speed and reliability. 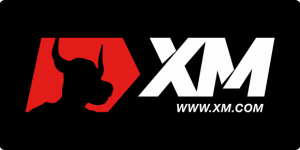 FXVM has been operational since 2013. They have quickly built a strong client base and are designed predominantly for VPS forex traders and those in search of an expert advisor. A strict focus on ensuring the forex trader can make profits more effectively and efficiently through use of their FXVM’s VPS service, together with a reputable performance record, is the main reason why this company has made our list. Our VPS Forex review has outlined some appropriate choices for the aspiring trader looking to ‘up their trading game’. By registering with a forex company that provides a VPS service, the client can ensure higher reliability, greater convenience and less slippage. The major benefit for this aspiring trader is that they do not search elsewhere to take advantage of the benefits that a virtual private server can provide. However, some users will be attracted to a different forex broker firm who doesn’t provide such a service, and therefore will need to search elsewhere for a VPS at cost. This may be a better choice for those looking to keep their options open. Whether looking for a forex broker that provides VPS services or an independent VPS server we are confident that our selections above will be able to help you make your choice. The decision of best vps forex provider is one that will vary widely depending on personal circumstances but when the decision is made it will be one guaranteed to lead you on the path to FX trading success.